The REAL HOPES. model is an innovative shift from rational left brain analysis and argument (linear) to a combined holistic (creative) perspective. It is an acronym for: responsibility, empathy, awareness, love, honesty, oneness, peace, enjoyment and service. The REAL HOPES. model is a powerful problem solving integrative model which enables holistic and inspired solutions. It guides people to access their own values system when thinking about problems.. The model ensures that responses to problems come primarily from personal values, experience and awareness, thereby producing truly evolutionary solutions. That is, we evolve our thinking to incorporate both thinking and feeling to catalyse balanced solutions. … Because we KNOW WHAT TO DO when we really listen to ourselves. The REAL HOPES. model is linked to symbols for easy recall. This is particularly pertinent for the children’s values based peace, non-violence and anti-bullying program. 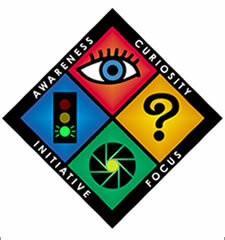 The model is used in conjunction with the clown image and symbols to facilitate accelerated learning by association. the values are embedded in the recognisable words of REAL HOPES. It also generates a visual impression of positivity and possible futures. … Responsibility – when we are respons-able we are able to respond, we can do something. It is in our hands. Empathy – is the ability to step into another’s shoes, to feel their feelings. Awareness – to be able to clearly and honestly see ourselves and others. To be aware of the consequences of our thoughts, words and actions. Love – is the heart of non-violence. When we act in love we expands potential, reveal, share, care and heal ourselves and others. Honesty – the truth will set you free. Jesters were able to tell the truth in a humorous way. Truth makes the real world visible. Oneness – is a concept that we are one world, interconnected to each other and creating a sense of unity. Peace – is balance and harmony. To be peaceful means you see all the people as different colours in the painting of life. Like white light you absorb all the colours as part of yourself. Enjoyment – is true happiness in the knowledge that you are being yourself and open to the beauty of life. Service – Is to pre-serve the world. That is to give or share yourself with the world. It is in giving that we become aware of our own richness. When we think there is not enough we become focused on getting more. The challenge is to turn selfishness in to self awareness.